Lottie’s Eye is a one woman site featuring the work of Merridy L. Davis. 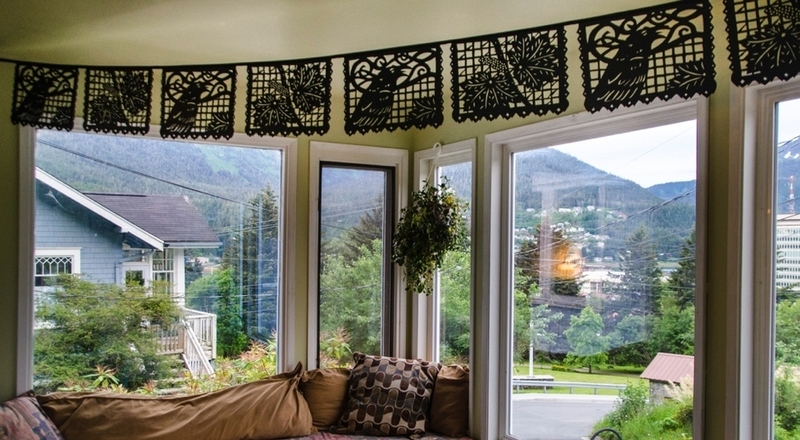 Inspired by the colorful banner strings of Mexico, Juneau, Alaska artist, Merridy Davis, has put a twist on the idea. Her original designs feature nature themes as well as all occasion colorful fun. Made of specialized nylon fabric, all are weatherproof and reusable. Custom Paper Banners, Artisan Stickers, Handmade Gift Ideas. 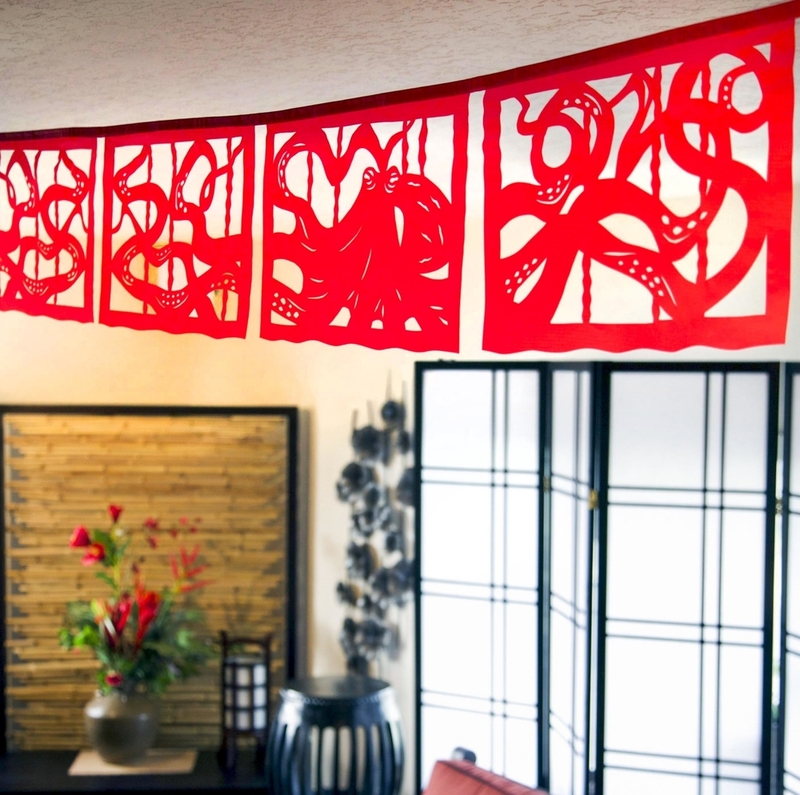 Inspired by the colorful cut paper "papel picado" banners of Mexico, artist, Merridy Davis of Juneau, Alaska, reached back to her family roots and traditions of food and celebrations and has put a twist on the idea. Her original designs feature nature and marine life themes in banners, flags, panels, cards and stickers as well as a line of expressive skeletons in large format. Hand cut in specialized nylon fabric, which are weatherproof and reusable.